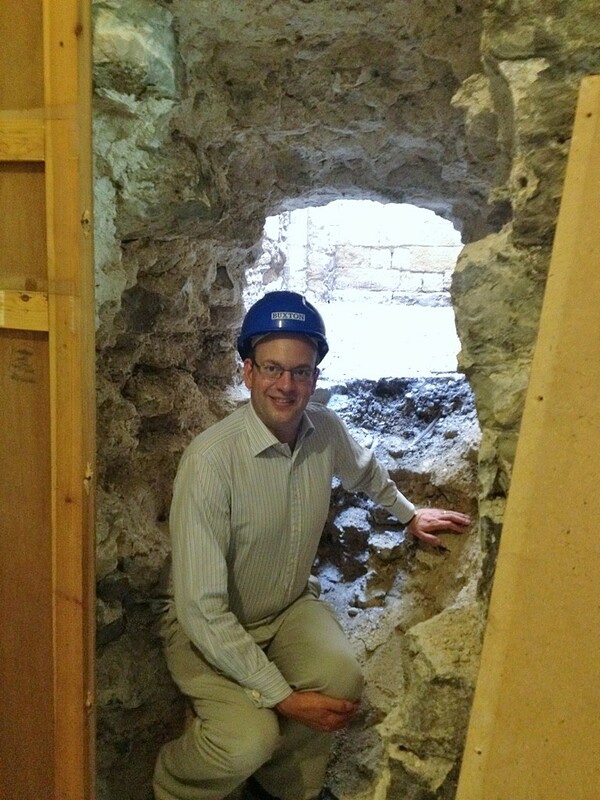 The Dean of Rochester Cathedral, The Very Revd Dr Mark Beach, has asked me to write a blog after I was shown round the multi-million improvement works being undertaken at the cathedral. I am used to waiting in the cathedral crypt on Remembrance Sundays before we lay wreaths at Rochester War Memorial. I have never before explored them to the extent I did yesterday and, while the crypt works are the single largest part of the current cathedral building project, there are many other aspects to the work. 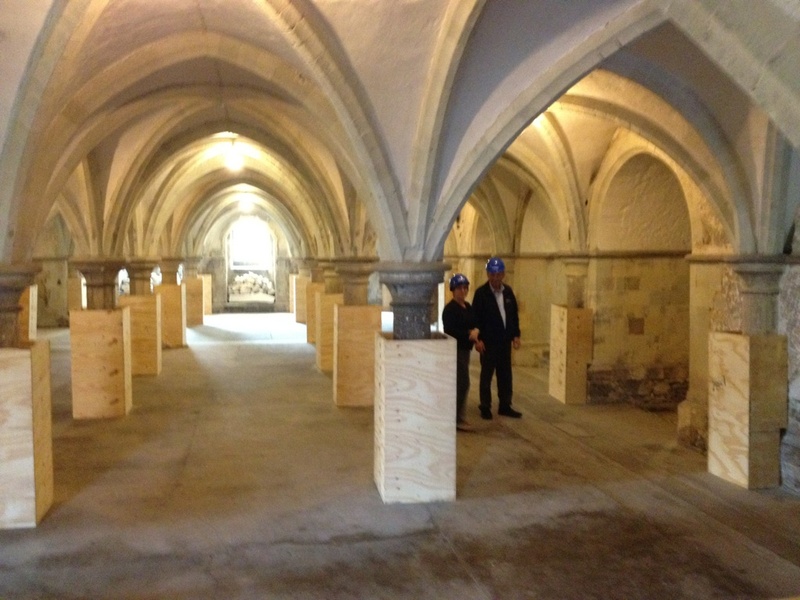 Having recently spent time in the crypt of Canterbury Cathedral, I am delighted that we will, thanks to this investment from the Heritage Lottery Fund and others, now be making much better use of our crypt. Education activities will benefit both locals and tourists, whilst I know anyone who takes their children to Sunday School at the cathedral will appreciate having just the one set of stairs to negotiate, and with a lift option. I was disappointed on my arrival at the cathedral yesterday to learn that the discovery of unexpected asbestos has led to key works being delayed for four weeks. Apparently it was the most dangerous blue type of asbestos that was discovered in the ducting for electrics installed forty to fifty years ago. But what is four weeks in the scheme of a cathedral that in its current incarnation is now not too far from a millennium old? Other finds in the works have included a contractor’s note from 1975 and two newspapers dated a few days either side of the outbreak of World War One. Amazingly these were found in a space no-one previously knew existed, behind panelling which concealed a bricked up staircase. The two photos respectively show the stairs and the entrance to them ,where Head Contractor, Dave, points to where he supervised the removal of panelling. I can’t wait to discover what will be found as several inches, if not feet, of early concrete and other added cathedral flooring is removed to reveal the more original crypt base underneath, and support more appropriate stone. Perhaps most exciting of all for visitors, will be the refurbishment of the library “extension” (acutally fourteenth century) to allow the proper display of our Textus Roffensis from c.1123 which includes the oldest surviving English law code. I will be back, and would encourage others to come to Rochester to see what is being unearthed within and beneath our cathedral. It will be enormously welcome if George Osborne ends overseas residents’ exemption from capital gains tax in the Autumn Statement. It is, however, preposterous to describe this as “Mr Clegg’s plan” as the Daily Telegraph does on its front page today. I first publicly pressed the issue of this disgraceful tax loophole left by Labourtwo years ago, and had the Today programme pick it up and interview me on it. 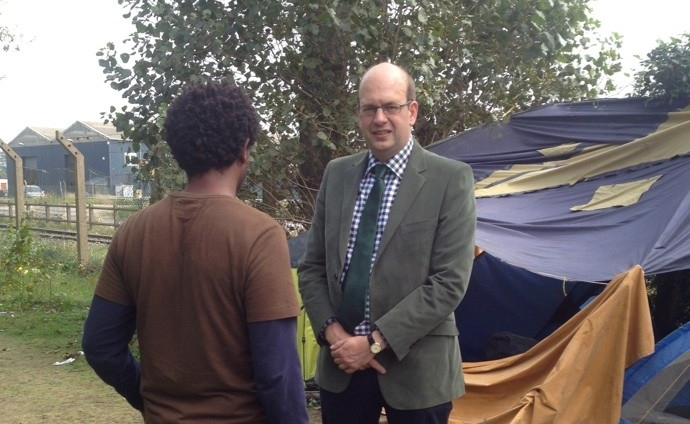 This interview was heard by the Prime Minister, who later that morning highlighted the case I had made at a meeting of the Conservative Parliamentary party. I followed up again at PMQs last month and I know that in the intervening period Treasury officials have been working to iron out some of the technical difficulties involved in applying capital gains tax to non-residents. Success has many parents, and of course Nick Clegg claims to have sown his oats widely, but his paternity claim here is simply false. 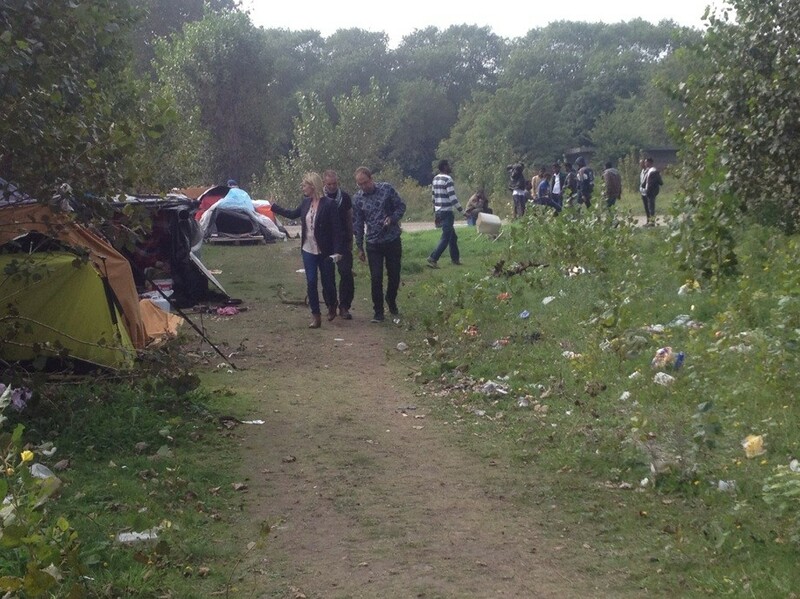 Indeed, one reason I have continued to campaign on this issue is that I thought I might be pushing on an open door, because it is something I have discussed with George Osborne long before the last election and formation of the Coalition. Clegg claiming credit for others’ work to close tax loopholes now rather reminds me of his performance this time last year on the EU Budget. 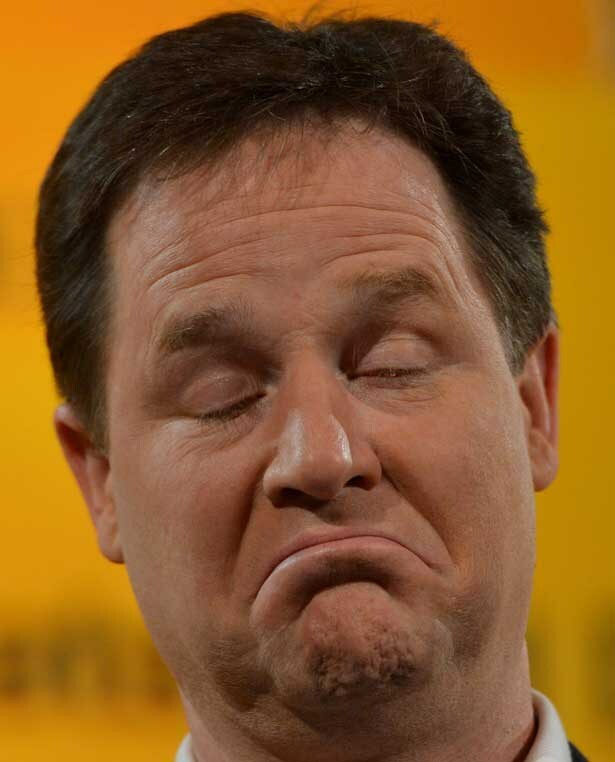 While I was garnering support from enough MPs to vote a motion through Parliament to cut the EU Budget, Nick Clegg opined that there was “absolutely no prospect” of a cut in the EU Budget. When the Prime Minister successfully followed through and cut the EU Budget Nick Clegg then claimed this reflected his personal diplomacy and EU network. Can we believe anything this man says?